Early Thursday evening, tourists weren't snapping photos of the Hollywood sign. The landmark structure spelled out "Sollywood." Later Thursday, it spelled "Sallywood." 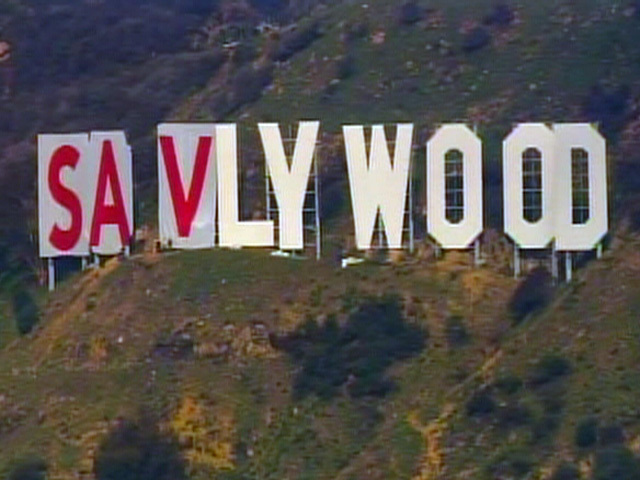 On Friday morning, the sign was shrouded in fog, but "Savlywood" could be seen from below once skies cleared. The Hollywood sign is slowly changing. By Friday evening, the sign was transformed to say "Save the Peok." When the temporary makeover is finally complete, the sign will spell "Save the Peak." It's all part of a campaign to raise $5.5 million to help buy the land around the landmark to keep the land from being developed. People who came from all over to take pictures of the sign got a rare opportunity to see the sign altered, even though they might miss out on seeing the sign as it's supposed to be. One-hundred thirty-eight acres of Cahuenga Peak, that's to the left of the "H" and below it, belong to a private investor. That investor is willing to sell the land to preservationists if they can raise $12 Million by April. It was supposed to be a temporary advertisement for a land development. Hollywoodland was the name. It appeared in 1923. 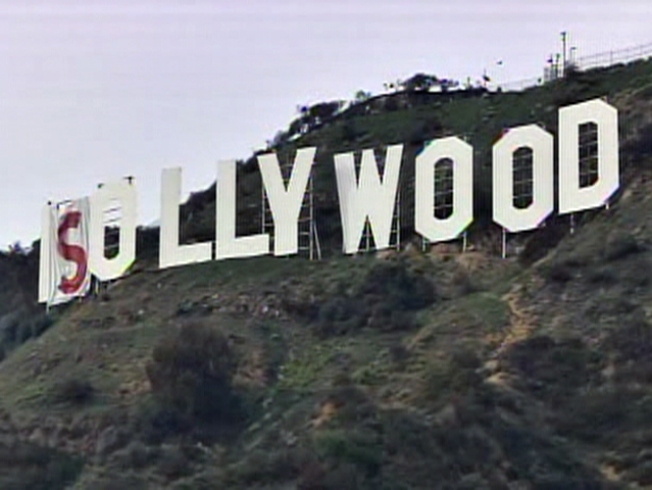 The "Land" part of the sign disappeared, but the rest has been the Icon for Hollywood ever since. The sign was saved once or twice before, with benefactors including Hugh Hefner and Alice Cooper. This time the sign is indebted so far to Eileen Getty and Tiffany and Company. Both donated $1 million. "What we definitely get is beauty and nature, and what's more beautiful and natural than the Hollywood sign and the land surrounding it," said Anisa Kamadoli of Costa/Tiffany and Company. City officials and residents have worried through the years of development cluttering the postcard-perfect view of the landmark. 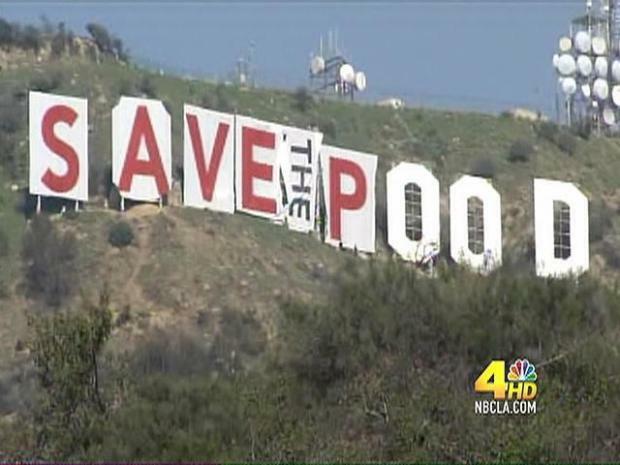 To launch the fund-raising drive, the land conservation group received permission to superimpose over the Hollywood sign giant letters that spell out the message "Save the Peak" -- to be fully in place from Thursday through next Tuesday.